Having tile means having grout and both of these things mean needing professional services like tile cleaning in Cape Cod. 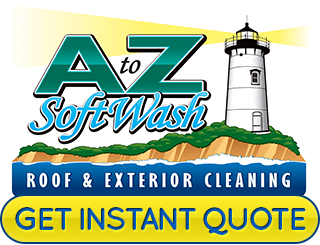 Savvy home and business owners know the name to call on for this type of work is A to Z Softwash. The thing to keep in mind is that it is not just about appearances, this is also about sanitation. Not to mention, keeping your tile and grout clean will help you avoid the need for costly repairs and replacement. This is not the type of work that you want to attempt to take care of on your own because you will not be able to get the level of deep clean that you really need. One of two things usually happens as a result. Either you do not get the tile or grout clean enough or you use too much pressure and end up breaking the tile. You can avoid all of this by letting our pros take care of the job for you. Call us today for tile cleaning in Cape Cod. Generally tile is very durable. The problem comes from grout that is uncared for. Once it begins to break down this enables the tile to move and shift which can lead to cracks. This can be even worse when high pressure water is added to the mix. 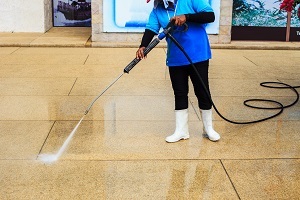 We can carry out this type of pressure cleaning service in a fraction of the time. If you attempt to DIY clean tiles and grout, it will take you much longer plus you will not get the results that you want. The equipment that we utilize will provide you with a much deeper clean. Besides, when we are able to really get in there and get rid of mold and mildew it means this contaminant won't be reappearing any time soon. Inferior cleaning barely touches the surface and this means that mildew and mold are still there in the grout ready to grow again. When you realize that you are in need of a professional to take care of your tile cleaning in Cape Cod, make sure you get nothing but the best. 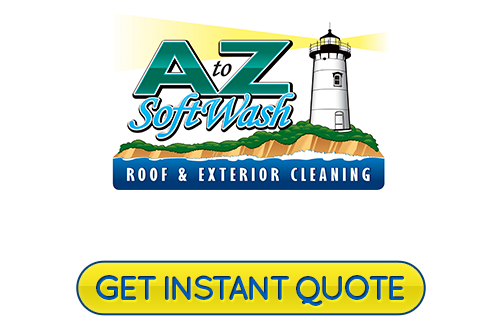 At A to Z Softwash we are honored to be the number one choice in the area as local Cape Cod roof cleaning and pressure washing pros. Let us demonstrate to you what a difference true quality makes. Give us a call today to find out more about what we can do for you. If you would like an estimate for tile cleaning in Cape Cod, please call 508-209-7795 or complete our online request form.